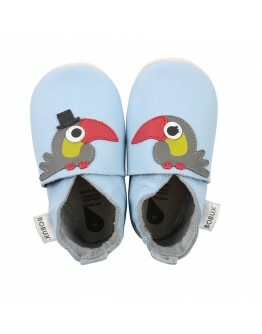 Here are all our Bobux booties available that you can buy at a cheaper price. You can find the BOBUX shoes in our OUTLET or in discount because the Bobux collection is renewed regularly. This way we can stay up-to-date with the Bobux shoes and make our customers happy! Because as you probably know Bobux is the top brand for the first baby shoes. 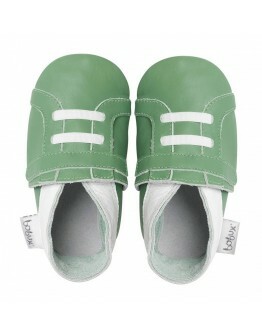 These baby shoes take a shape that is ideal for the growing feet of your child. 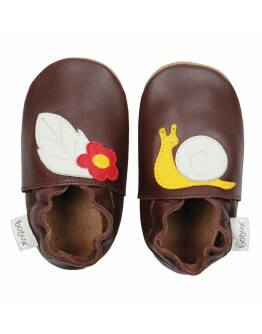 These soft shoes in leather for the smallest baby are the Bobux soft-sole shoes. 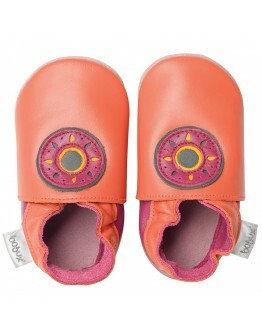 The Bobux booties are available in different models and sizes. 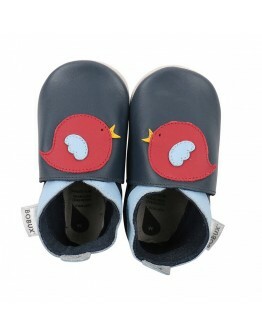 Have you found a nice Bobux slipper in our outlet store? Do not hesitate too long because they go out of collection, which means that we can not order this BOBUX any further! Enough choice for every age in our bargain corner and sales of beautiful brand Bobux! 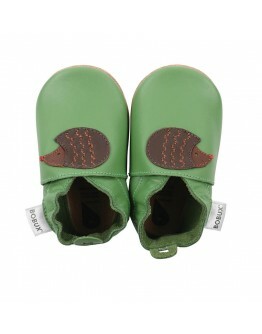 BobuxBobux mintBOBUX, the original Soft Sole Bobux became a huge success with parents around the world. This Bobux shoe is made entirely in soft leather and thus really satisfies the needs of children who are not yet on the road, both in terms of foot health and use. The baby Bobux booties are easily put on and stay on. They won't fall out like many other shoes. Even if your little one tries to pull out the Bobux slipper, this is going to be a difficult job!The Bobux shoe allows your ba..
BobuxBobux pinkBOBUX, the original Soft Sole Bobux became a huge success with parents around the world. 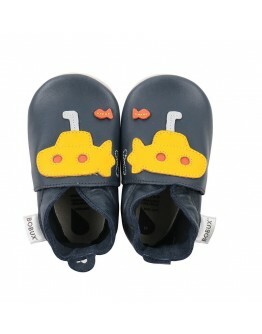 This Bobux shoe is made entirely in soft leather and thus really satisfies the needs of children who are not yet on the road, both in terms of foot health and use. The baby Bobux booties are easily put on and stay on. They won't fall out like many other shoes. Even if your little one tries to pull out the Bobux slipper, this is going to be a difficult job!The Bobux shoe allows your ba..